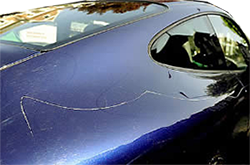 Frustration-Free Scratch Repair For Minor Paint Damage On Cadillac Vehicles. Better Results. Use the stuff that professionals trust. Easier To Use. Video instructions make repairs simple. Best Guarantee Anywhere. 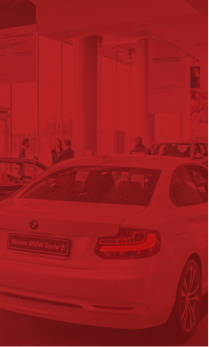 Get back all that you paid (shipping too) if you're unhappy with our OEM color match within 30 days from shipment date. You don't even need to return the product! Fix It Yourself With ScratchWizard! Save Money, and Drive a Car You're Proud Of. Restore your Cadillac’s scratched or chipped paint to like-new condition with Cadillac touch up paint from ScratchWizard. 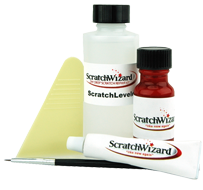 Our comprehensive paint kit makes scratch repair so simple that you can do it yourself at home. Relying solely on a body shop for scratch repair is a thing of the past. Repair paint scuffs on bumpers, mirrors, and other plastic parts in just 45 minutes with spray paint kits. Each complete kit comes with factory-matched Cadillac spray paint, body filler, primer, and clear coat, and there are clear video instructions that anyone can follow to get professional results. Affordable, simple, and guaranteed to work, the WheelWizard restores any OEM wheel to like-new in only about half an hour. 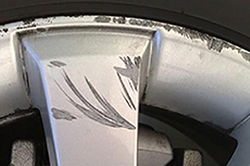 The WheelWizard comes with sandpaper, primer, Cadillac wheel touch up paint, and wheel clearcoat as well as the education you need for professional scratch repair without the hassle. With the guidance of our video instructions, anyone can restore their paint to like-new condition. The paint code is located to the left of where it says BB/CC. 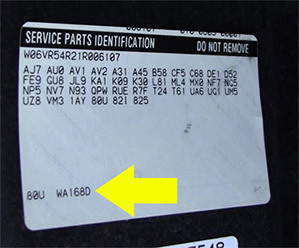 They usually start with WA or U.
Stickers can be found in the glove box, the rear passenger door jam, underneath the trunk lid, the right side of the trunk (inside a compartment if you own a Catera), or either the spare tire cover or wheel well. 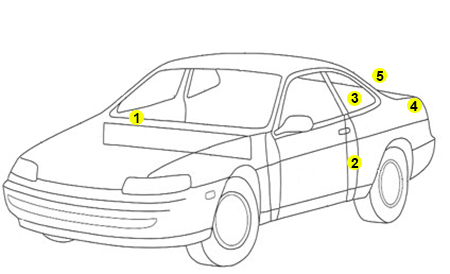 Most of the time, Cadillac paint codes can be found (1) in the glove box , (2) jamb of the rear door, (3) trunk lid, (4) the rear compartment lid, or (5) spare tire cover. The paint codes typically start with a U or WA, and they are sometimes located next to BC or CC.